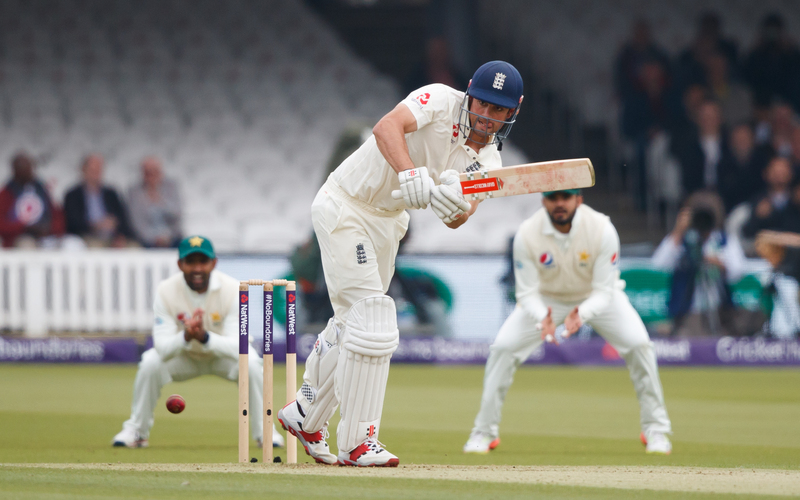 The home side were humiliated in the opening Test of the England v Pakistan series, suffering a nine-wicket defeat at Lord’s. Joe Root’s men bowled out for only 184 in the first innings and were made to watch as the tourists showed the team how to bat in English conditions. The Three Lions’ issues continued in their second innings and only half-centuries from Jos Buttler and Dominic Bess prevented an innings defeat. Pakistan were able to knock off the runs needed to ease to victory, putting themselves in a commanding position to secure the series. Alastair Cook couldn’t convert his half-century into a century in the first Test of the England v Pakistan series. It was another disappointing display with the bat from England. Alastair Cook, along with Buttler, Bess and Root, made a half-century. However, no one was able to make the big score needed to turn the match in England’s favour. Root continues to struggle with his conversion rate, failing once again to make three figures after passing fifty. Pressure is beginning to grow on him as captain and he needs a signature performance on his home ground to ease the strain. Back him to lead the way for his team at odds of 5/2, although he does not have a great record at Headingley. The tourists dug in and proved that the wicket was not the minefield that England suggested that it was after their performance on day one. Azhar Ali was vital at the top of the innings to calm the nerves after the dismissal of Imam-ul-Haq. The 33-year-old has an impressive record in Test cricket, averaging 45.51, with 14 hundreds to his name. His experience was crucial at Lord’s and he will need to lead from the front again at Headingley, especially due to the absence of Babar Azam. He is certainly worth consideration to be his side’s leading batsman at odds of 3/1. England were not quite on song in all areas of their performance. Their batting and catching were downright putrid, although the bowling was at times too short. James Anderson maintained his high standards, taking four wickets in the match. The Lancastrian has not enjoyed his spells at Headingley, but he has improved in recent years, taking 10 wickets against Sri Lanka in 2016. Mark Wood and Stuart Broad bowled without, but once again it appears England need their senior man to deliver at odds of 5/2. Mohammad Abbas will be hoping to carry on his imperious form. Mohammad Abbas did the damage for Pakistan with the ball along with Hasan Ali. 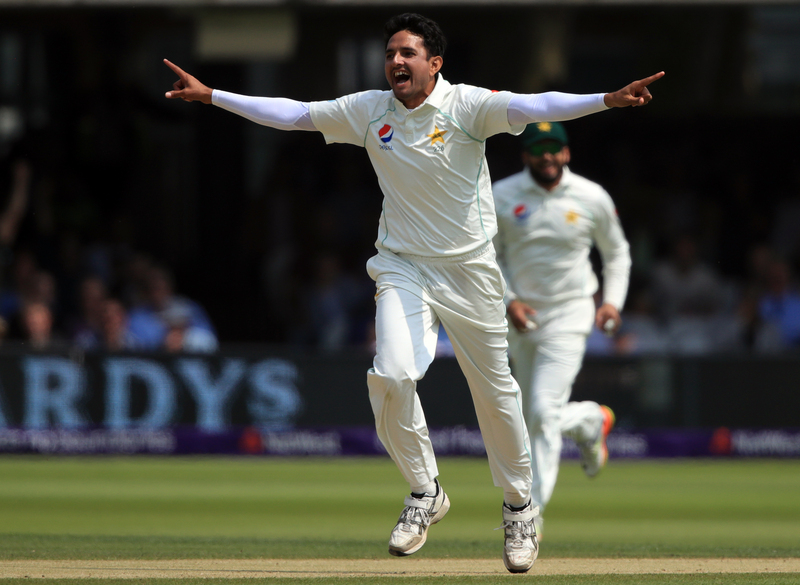 Unlike their counterparts, the Pakistan seamers were not afraid to pitch up their deliveries, which resulted in the flurry of English wickets. Headingley may offer the same assistance and it would be no surprise to see the paceman thrive once again. The consistency of Abbas was the pivotal factor as he claimed eight wickets. Ali may take centre stage on this occasion, back him at odds of 7/2. England need to bounce back to avoid their first series defeat at home since 2014. The performance of their batsmen in the first Test does not inspire confidence, especially against a quality attack. Pakistan can close out the series with another victory, exposing the Three Lions’ deficiencies once again at odds of 3/1.